A key witness to the Humboldt Broncos bus crash has named her baby after one of the 16 victims. Kelsey Fiddler is calling her daughter Logan Humble Strong after Logan Boulet, the 21-year-old defenceman and assistant captain who had his organs donated. Bernadine and Toby Boulet say they spent their son's final hours taking turns listening to his heartbeat. "It was just comforting to hear," Bernadine said. "His heart was really strong." The couple pressed their ears against Logan Boulet's chest until they couldn't any longer. 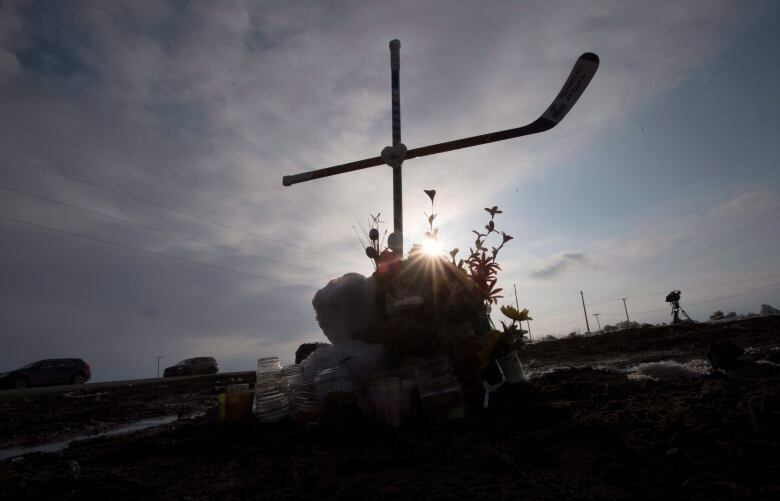 The 21-year-old died at Saskatoon's Royal University Hospital after being injured in the Humboldt Broncos bus crash. 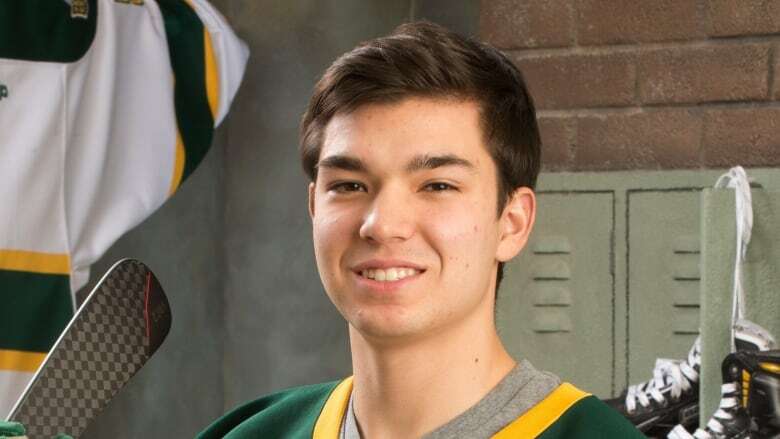 The defenceman and assistant captain was headed to a playoff game in Nipawin, Sask., when the bus his junior hockey team was riding in collided with a semi-trailer about 30 kilometres north of Tisdale, Sask. Out of the 16 people who were killed in the April 6 collision, Logan was the only one able to have his organs donated. As a result, he extended the lives of six people. "We want Logan back," Toby said. "But if this is the silver medal, I'll take it." Kelsey Fiddler, 34, from Red Earth Cree Nation, found the story particularly powerful. She is a key witness to the bus crash and has developed such a deep connection with the victims and their families that she named her newborn Logan Humble Strong. "It [Humble] almost sounds like Humboldt," Fiddler said. "I think it's a beautiful name." They gave Fiddler their blessing to call her daughter Logan after reading about her connection to the tragedy. "It's just a real honour," Bernadine said. "It tells us how his life has affected others and it's a bit of a legacy." Fiddler can't discuss what may have caused the collision due to the continuing RCMP investigation, but the images have stayed with her. She remembers it was a bitterly cold day and the sun was high in the sky. She was waiting with her two sons at the eastbound stop sign on Highway 335 to make a left-hand turn onto Highway 35 when the collision happened, just a few metres in front of her vehicle. Fiddler said she swung her red Buick Century to the shoulder of the road in time to avoid being caught up in the barrelling debris and then called 911. She was 28 weeks pregnant at the time and started having contractions after the experience. But she didn't want to take up ambulance space, so she drove herself 30 minutes up the highway to the Nipawin hospital. She was later transported to the Saskatoon hospital and released. 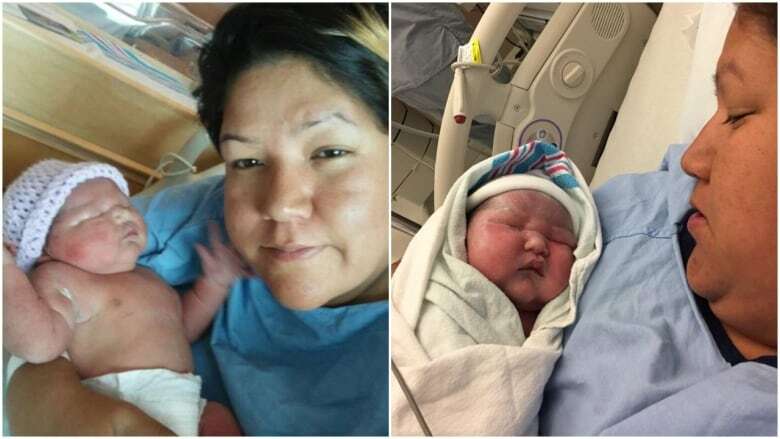 Fiddler gave birth to a baby girl she named Logan Humble Strong at the Victoria Hospital in Prince Albert, Sask., at 6:45 a.m. on June 4 — almost two months after the bus crash. "I want to let people know that he did a good thing in donating his organs to the people who needed it," Fiddler said. "He's still helping more even though he's not here. He's still a hero." She isn't the only one to name her baby after Logan. Kevin Broome and Brittany Ramsay from P.E.I. called their newborn son Bennett Charles Logan Broome after Logan, according to Bernadine and Toby. While the tributes to their son are appreciated, Bernadine and Toby say they are still struggling at home in Lethbridge, Alta., where even activities like grocery shopping can be tough. "I can't go do that yet because I know I'll run into 10 people at Safeway and I'll never get to the till," Toby said. "When you're there, you say, 'Oh that was Logan's thing. That was his favourite food' … I'm not ready to do all that." Instead, the couple have been writing lists to have other people pick up their groceries and then paying them back. "It's kind of sad in a way," Toby said. "But that's where we're at." Lethbridge is a seven-hour car drive from Humboldt, Sask., where Logan spent most of the last three years of his life as a Bronco. Bernadine and Toby recently went back for a visit. "It's really hard to drive in," Toby said. "You get teary-eyed and you're trying to concentrate.… You start to see things and make connections to things." Humboldt is where they currently feel most comfortable, even though they still can't walk into Johnny's Bistro, a restaurant where they used to take Logan. "Coming here, it's like a homecoming," Bernadine said. "People understand and they get it." Toby agrees, saying there were 16 families who lost a loved one that day who are in a similar position. "In Lethbridge, there's people who have lost loved ones, but they didn't lose them in the bus crash. It's not the same tragedy and it's different." Logan's parents said he wanted to become a math teacher and give back through coaching. They find comfort in knowing he is making a difference through organ donation. Approximately 100,000 Canadians have since signed up to be organ donors from what is being called the Boulet effect. Bernadine and Toby haven't found out who received Logan's organs — that information is kept anonymous. 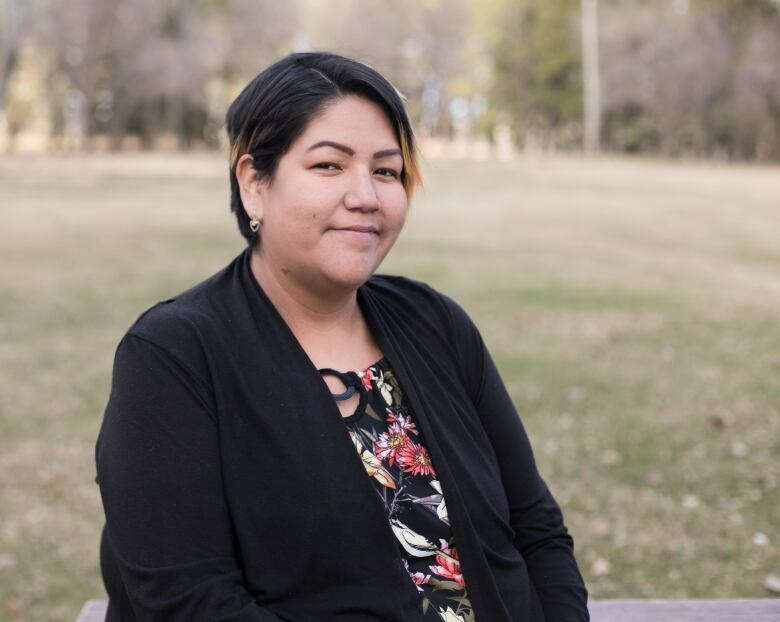 But the Saskatchewan Transplant Program offers donors and recipients the opportunity to write anonymous letters to each other, and the Boulets would like to connect if they can. "I would love to know the people's stories about how their lives have changed and how their lives have improved," Bernadine said. "Probably the one I really want is — I'd like to hear his heart and hear that beat again."